This responsive eCommerce theme can be used for any type of online shop or magazine type website . 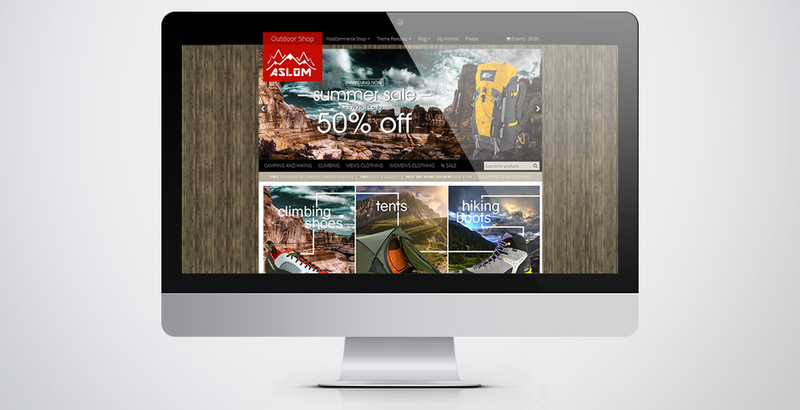 It is ideal for creating online shop any online shop, especially outdoor sports & gear related. Below we have listed some of the Aslom’s features. Aslom WordPress theme is responsive, that means it displays well on all types of devices: desktop PCs, laptops, tables or mobiles. Aslom is great solution for creating online shop, it supports one of the best shopping cart extensions for WordPress – WooCommerce. You can create literally any type of eCommerce website, whether it is going to be small, humble shop or bigger online store. 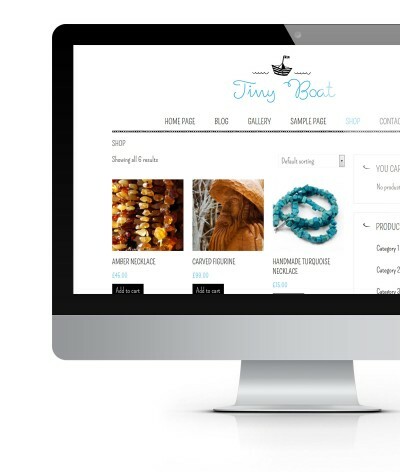 Creating online shop and getting noticed is not enough to be successful in selling online. You should be able to convert your visitors into buyers, therefore extra engagement and features improving user experience became the necessity. Product comparison and wishlist allow you to do that, keep the visitors longer on your site and significantly increase the chance of converting visitors into buyers. Product wishlist is a neat feature letting your customers add products to their own wishlist for later purchase. Even if visitor found you ‘accidentally’ he can browse products catalog and add items he likes and come back when he’s ready to purchase them. Aslom is perfect for running blog too. It has some nice built in styling for different post formats such as gallery, video, audio, quote. So in case your blog gets boring you can always use different post formats, add photos or videos to cheer it up. 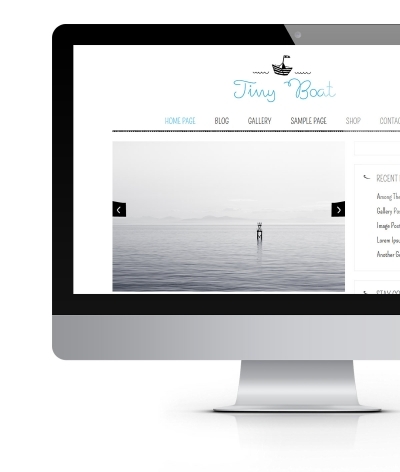 View our demo site Theme Features > Post Formats to see examples of post formats. We created Aslom trying to keep it sleek, but bloat free which in our opinion makes it an ideal candidate for ‘real life’ website rather then another bloated theme with multitude of great options. Whether you like plain colors or patterns – you can always change it later using theme panel. We also added some nice shortcodes to the theme, to lets you focus on adding content and real value to your site instead of juggling with css classes. we originally built it for outdoor & skiing. Saying that winter is approaching soon, alongside with skiing season. Perhaps it is the time to think about redesign.